Late Harrison strike earns Leeds a point. Millwall: Amos, McLaughlin, Meredith, Cooper, Williams, Wallace, Gregory, Morison (Bradshaw 70), O’Brien, Wallace, Leonard. Subs not used: Martin, Romeo, Webster, Tunnicliffe, Elliott, Skalak. 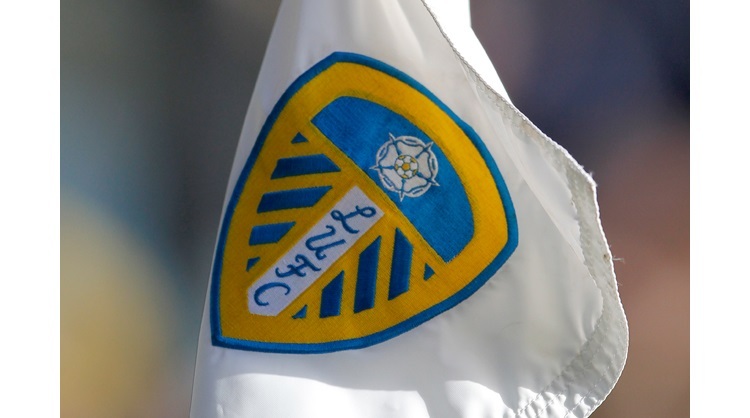 Leeds: Peacock-Farrell, Ayling, Cooper, Phillips (Forshaw 74), Jansson, Douglas, Klich (Baker 61), Harrison, Alioski, Saiz, Roberts (Dallas 68). Subs not used: Blackman, Pearce, Edmondson, Clarke. A stunning late strike from Jack Harrison secured Leeds United a point at The Den, as the Whites maintained their unbeaten start to the Sky Bet Championship season. Head coach Marcelo Bielsa made two changes from the side that drew with Middlesbrough ahead of the international break with Pontus Jansson and Tyler Roberts replacing injured duo Gaetano Berardi and Kemar Roofe. Leeds had a good chance inside four minutes, Samuel Saiz did really well to break up the pitch, he fed Harrison on the right who crossed and it just took a slight deflection just before Ezgjan Alioski heads just wide at the back post. Millwall’s first chance came 10 minutes later, Shaun Williams delivered a corner and Ryan Leonard heads towards goal, before Steve Morison fired straight at Bailey Peacock-Farrell. Jed Wallace then found Lee Gregory in the Leeds box, he turned well and fired at goal, but Liam Cooper made a great block. From the resulting corner, Williams delivered once more, which Morison headed and Aiden O’Brien was just inches away from getting on the end of it. Barry Douglas then did really well on the left side for Leeds, he teed up Tyler Roberts in the Millwall box, but he saw his effort well blocked. A scuffed shot from Jed Walllace then fell into the path of Morison, but his effort deflected wide of the mark. It was again former Leeds striker Morison who went close in the 39th minute, a long ball into the box was met by him and he attempted a looping header, but couldn’t get the better of Peacock-Farrell. Williams struck wide from 30 yards, before the Whites had a big chance in stoppage time, when Roberts latched onto a long ball, but he couldn’t get the better of Ben Amos. After the break Leeds had the first chance, the Whites broke up field well and Luke Ayling teed up Saiz, but he could only fire over. Alioski then found Roberts in a good position in the box, but he could only drag his shot wide from a narrow angle. A well worked set-piece then led to another Leeds chance, Douglas laid the ball off to Saiz, who then crossed and found Douglas once more and he forced Amos into action with a volley. Despite Leeds’ good start to the second period, it was Millwall who took the lead in the 56th minute. Ryan Leonard launched a long throw into the box, Jake Cooper flicked it on and Wallace found the net. Leeds then had a big chance to level when Douglas got to a loose ball on the byline, he cut it back to Ayling, who was denied by a fine save from Amos from six yards out. Roberts then had another fine opportunity, he beat the offside trap to get on Saiz’s cross, but didn’t get enough on his header to beat Amos. Substitute Stuart Dallas then cut inside from the right well before firing at goal, but his effort was just too high. Millwall then side well down the right, O'Brien pulled the ball back, but Jansson made a vital interception. Williams then tried his luck from distance, but his effort went wide of Peacock-Farrell’s goal. Cooper almost equalised for the Whites from a free-kick, Douglas delivered, but the captain’s header went just off target. The persistence of the Whites was rewarded in the 89th minute, when Harrison unleashed a wonderful effort from the edge of the box which found the bottom right corner. Tom Elliott hit the post for Millwall with a header in stoppage time, but the Whites held for the point and remain at the top of the table.